This 13 acre extended monastery Complex illustrates religious attitude of king kashyapa (477-495 A:D) who built world renowned Sigiriya Rock Fortress during his reign. 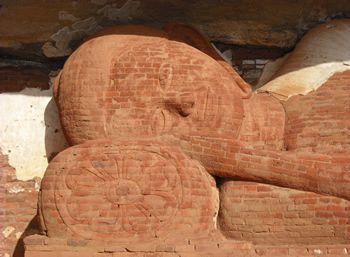 Pidurangala ancient monastery which is located adjacent to the Sigiriya rock is believed to be the Royal Temple where the king Kashyapa worshipped. 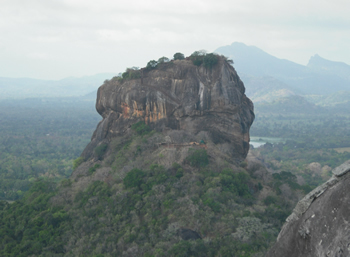 According to legend when kashyapa arrive Sigiriya rock to built his rock fortress capital, the caves around here was occupied by Buddhist monks who observe meditation. 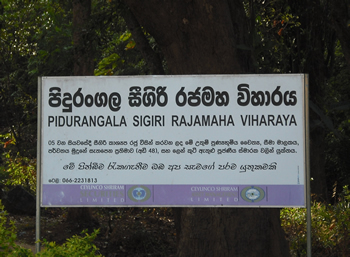 The king shifted that "Sigiriya monastery complex" to Pidurangala. 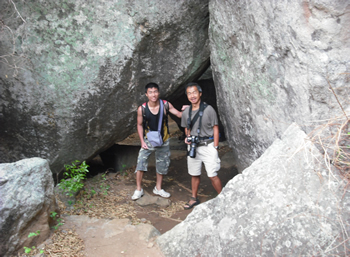 As the legend goes referring the meaning for "Pidurangala" as "offered+monastery+rock". But some inscriptions says pidurangala was also a monastery beyond Kashyapa period. 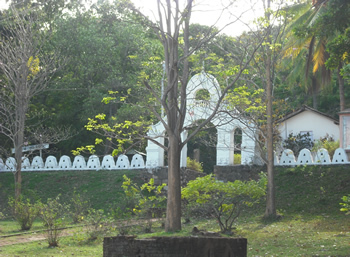 According to historical chronicles, Pidurangala has been existed as a well civilized, ancient place. All these details have been well confirmed by Brahmin inscriptions, rock inscriptions on the rock shelters. More over these bear witness that this viharaya was built according to the panchavasa concept and about 500 monks resided in a pirivena (educational institute of Buddhist monks) in ancient era. Panchavasa concept is "Bodhigaraya" (boo tree chamber), "Image house"," Chapter house", "Dagoba", and meditation chamber. That all has been been discovered and now restored. All area have been well surrounded by brick rampart. 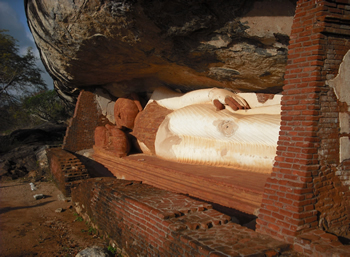 Now	remain a large cave centered ancient meditation chambers in a gigantic rock, a huge 48 feet long reclining Buddha statue made out of brick, clay and lime and one of the Asia's oldest and remaining of Dagoba with a Bodhigaraya. Passing through the ancient site can climb up to the top of the rock which the fantastic view around the dry zone forests around Sigirya.